My inbox gets hit with questions quite a bit, and I can be faulted in the past for not posting many of my answers here for everyone else to see. Last week I got an email that had my brain churning quite a bit. But as usual, a one or two sentence reply didn't come to mind. Patterns like “triple taps” and others like it are geared to catch either momentum or reversal. These are clear and distinguishable patterns that present several means of entering. And essentially, these are the ones I like the most. When you have an area in price that presents multiple means of entry based on a wide range / pool of thought, your chances of “the masses” tuning in go up exponentially. 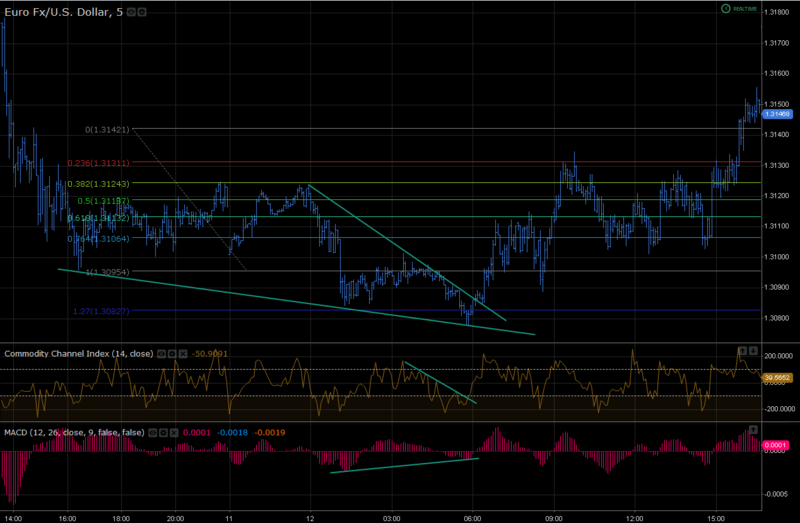 I trade a lot of trendline breaks, seen on a smaller timeframes, but in the context of a macro trend. In the case of a buy, I look for a basing structure to develop (usually 3+ taps) and start fanning trendlines, looking for the breakout that some people might miss by strictly looking at the bigger picture. The chart below represents a number of different things occurring, or “signals” to the masses. Indicators are in place just to show how much confluence there really is. 8. Major liquidity gaps to the upside post nonfarm, with an intent of wanting price to seal them up / ease for fixings, etc. Don't get me wrong. I just want to highlight how many opportunities or “signals” there are to the masses that might insinuate price reversal. These are just some of the things that people might see and latch onto. I am not insinuating that this is easy as 1-2-3 or anything else like it. I loathe big fish stories, cocky traders, and “ism's”…..they never get people anywhere and the people telling them almost always have some major issues themselves. I could probably keep pointing out other items on this chart for alternative entry, but I'll be here all day. The bottom line is that with a few simple techniques, you've got numerous opportunities for entry happening on a regular basis. Most people get so bogged down and swamped with information overload they forget about the most simplistic things that actually pay off in the end. Elliot wavers are always trying to latch onto wave 3, because that's when the masses tune in and create the “meat on the bone”, so to speak. Your first sign of a top or bottom comes when a retracement is unable to break highs or lows. 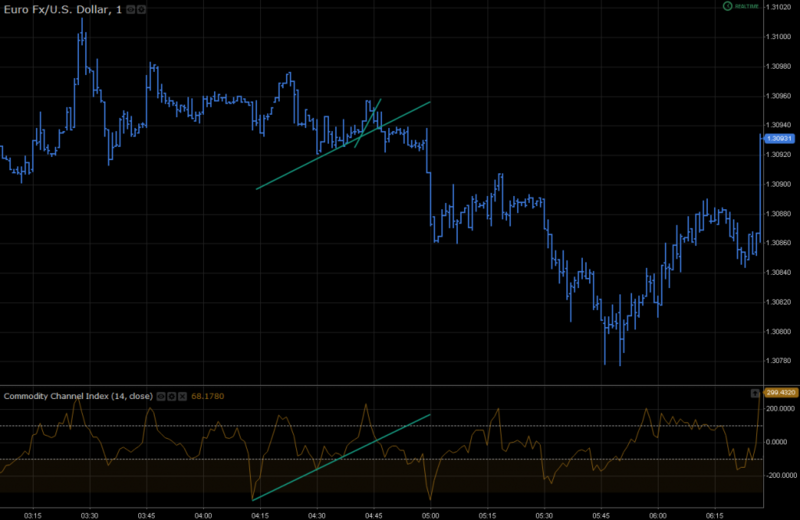 Price pulls up (or down) to a certain percentage before coming back down (or up) and correcting the previous move. Playing momentum is one heck of a lot easier than trying to “stop the freight train”. The masses are on your side and momentum is picked up much faster than when trying to trade countertrend. And before I get too far, let's just think about that expression for a second: “stop the freight train”. Price accelerates and creates “divergence” on many exponential indicators (or clearance thrust for anyone that follows me) because the masses are tuned in. Everyone sees price running in one direction and latches onto it. In order for price to turn, you need a greater force than the one driving it to do so. Remember, momentum = mass * velocity where for us, mass = buying or selling pressure and velocity = the already existent speed of price. So naturally, trading “against the grain” is much harder to accomplish than keeping a strong trend moving along. And this is also why countertrend trades generally require more patience than trend trades. Getting the masses to just stop what they are doing is truly a more difficult task to accomplish. This being said, our market is generally more consolidated than it is trending. And this boils down to timeframe and looking at the appropriate one for the length of trade you intend on taking. This really is about as simple as it gets, and everything else falls down to a point of patience and regular observation. There is a seemingly endless pool of news items, technical indicators or other knowledge that can be applied throughout the day. Just look at the major items and avoid “spoiled milk” thinking at all costs. when it’s posted on this site. My hart does really get a shock, I can not get used to it on this site. Hahaha….that’s quite alright I’m just trying to open the door a bit lately in terms of something, anything that might help others out a little more, or just see this in a different light. Essentially it’s all very much the same and whether it is there or not, still visible through price. Nice post Steve, thank you.